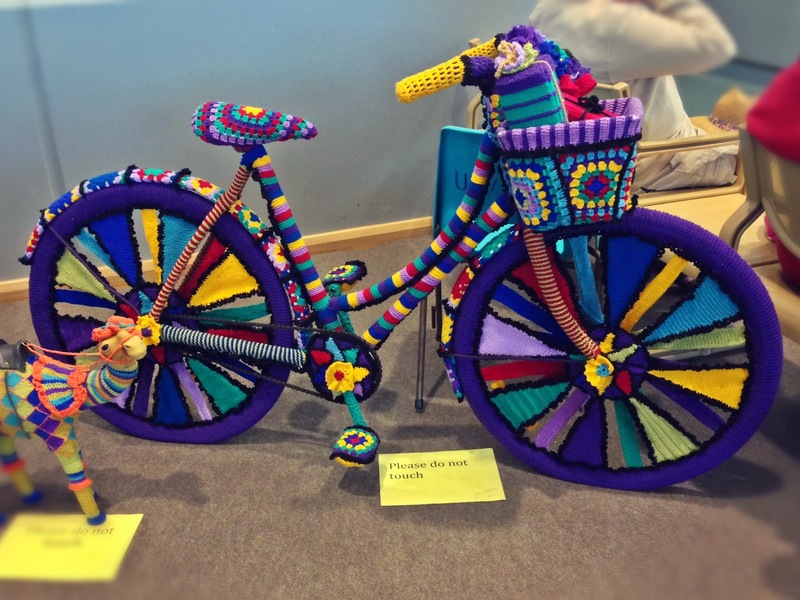 Bicycle! Bicycle! : See Your Oma and Raise You 1 Granny. See Your Oma and Raise You 1 Granny. Spotted at the Ulverstone Agricultural Show: The inspiration for your next bicycle/craft project/yarn bomb. You're welcome, Baby Boomers I blurred and cropped out for the sake of privacy. Obviously what it lacks in practicality it makes up for in panache. 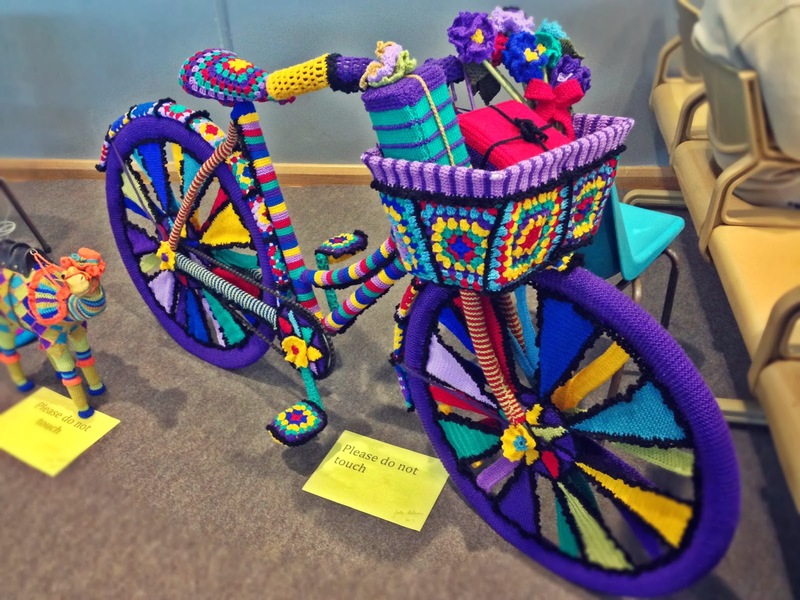 That granny-square covered basket and saddle are giving me ideas as well as reminding me that it's entirely possible to crochet yourself a skirt guard or pay somebody on the internet to crochet you a skirt guard.